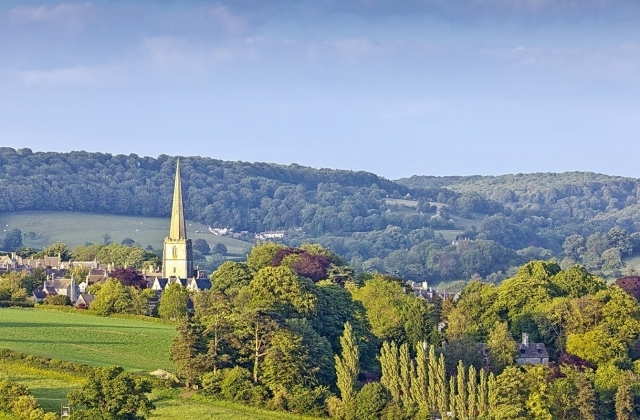 The UK is a wonderful destination for luxury and tradition. From the countless castles, mansions and stately homes you can stay in to all the fine dining and afternoon tea, there are many ways to turn your vacation into a special celebration. 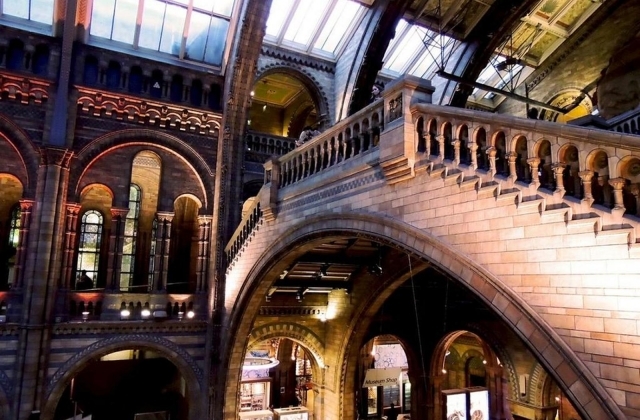 For those in search of some British culture, you’ll also be spoilt for choice when it comes to museums and galleries. If you love art, here are some of the finest galleries that you won’t want to miss on your next visit to the UK. This is one of the most famous art galleries in the whole of Europe, and it’s a bucket list attraction for any first time visitors in London. The globally recognized institution and art museum houses art dating all the way from 1500 up to the present day. This is the perfect gallery for art lovers who wish to devour renowned works from around the world. The building itself is an architectural gem too, with a grand portico front entrance and a central dome resembling a temple. Located further north and on the other side of the River Thames is Tate Britain’s sister gallery, the Tate Modern. Housing works of international modern and contemporary art from 1900 until today. The best thing about the Tate Modern is the free admission to see permanent collections. While tickets are charged for specialist exhibitions, you can easily enjoy a free visit and still take in hundreds and hundreds of wonderful art. There’s a Tate Boat which runs between the two museums every 40 minutes, so you can tick off both in one day. A remarkable gallery with the most extensive collection of portraits in the world. Take the journey throughout time, exploring famous portraits of the Tudors, the Victorians, all the way to modern day. There are more than 11,000 works to be discovered, including portraits of King Henry VIII, Queen Elizabeth I, Queen Victoria, and the current Royal Family, as well as stars of the British screen and other famous faces. You might recognize some of the big names, such as Paul McCartney, Elton John or Anna Wintour. Considered to be one of the finest art galleries in the North, The Hepworth is a popular destination for art fans looking for a good gallery outside of the capital. It’s the winner of multiple awards, including the recent ‘Art Fund_ Museum of The Year 2017’. The gallery is open daily from 10am to 5pm, and offers free entry to visitors. Inside, you will find contemporary works from Barbara Hepworth, Henry Moore, Ben Nicholson and Anthony Caro, as well as temporary exhibitions every season. Tate Liverpool is one of the top museums outside of London, located at the famous Royal Albert Dock – an area which has recently been regenerated. The gallery hosted The Turner Prize in 2007, which was the first time it had ever been exhibited outside the capital. The city of Liverpool is a great place to spend a few days during your vacation to the UK, and the dock area is home to a host of attractions. Don’t miss the Merseyside Maritime Museum, the International Slavery Museum and British Music Experience whilst you’re here. 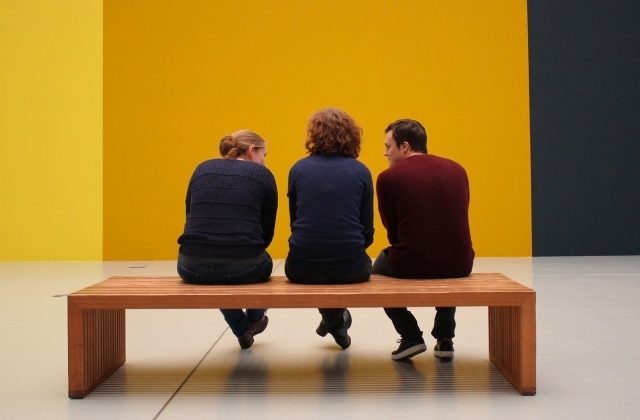 If you love modern and contemporary art, head to the Whitworth Gallery in Manchester. It’s undergone a huge £15 million refurbishment and is now one of the premier art spots in the country. The gallery, which is a part of the University of Manchester, features an art garden and a fantastic sculpture terrace, and is home to a permanent collection of more than 55,000 artworks. You’ll discover everything from Picasso and Van Gogh to Paul Klee. If you’re feeling hungry after your tour, stop off at the Whitworth Café, set in lush green surroundings and boasting a seasonal menu with organic dishes made from ethically sourced ingredients. This is a perfect day out for art fans and foodies alike. This is one of the oldest public museums in the world, with works spanning multiple centuries, and featuring artists from across the globe. The collection is as diverse as paintings from ancient Japan to drawings by Raphael. But the jewel in the crown has to be the famous painting, The Hunt in the Forest by Paolo Uccello, adorned with an ornate gold frame in the Western Art wing. If you’ve got a penchant for Renaissance art, you will find a nice section dedicated to Renaissance artists at the Ashmolean. As well as Baroque art, Dutch art, German and Flemish art, still life, Sicker and his contemporaries, pre-Raphaelite art, modern art, ceramics, and sculpture. For something completely different, and a fun day out with the whole family, we recommend a visit to the amazing Yorkshire Sculpture Park. With an outdoor setting, this open air museum is ideal for those who enjoy long walks and art combined. The 18th Century Bretton Hall estate has over 500 acres, with sculptures spread across the park, making it the largest open air gallery of its kind in Europe. There are year-round exhibitions, with some of the names being Tony Cragg, Phyllida Barlow, Ai Weiwei, Roger Hiorns, Dennis Oppenheim, Ursula von Rydingsvard, Amar Kanwar, and Yinka Shonibare MBE. In the heart of the capital is The Fruitmarket Gallery, a place for modern art and unique collections that can’t be found elsewhere. It is home to world-class contemporary artworks and features some of the most important contemporary artists of our time. As a well-known art space, there are regular events here, including workshops and exhibitions that are suitable for children. Admission is free, and doors are open seven days a week throughout the year. 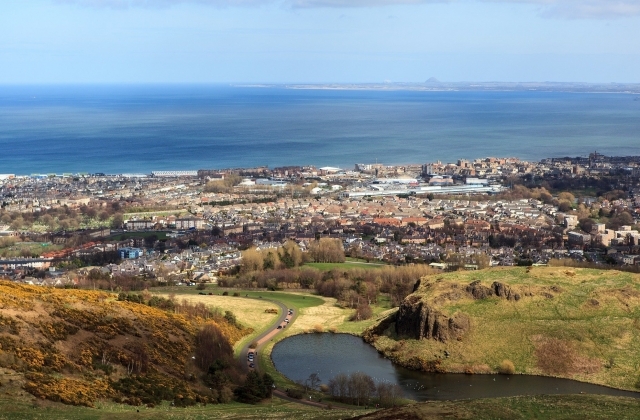 Outside of Edinburgh, you’ll find one of the best galleries in the city of Glasgow. 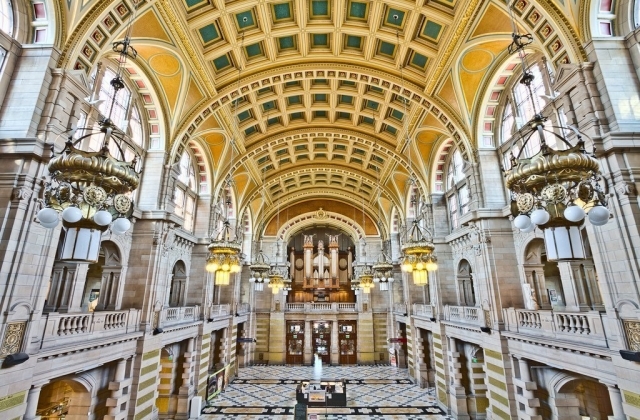 Kelvingrove Art Gallery is one of the country’s most popular tourist attractions, open to over a million visitors each year. It’s free to get in and there are more than 8,000 objects on display. Also a museum, inside you will find 22 themed areas ranging from natural history to art from numerous periods throughout time. There are works by Monet, Gauguin, Renoir, Rembrandt, Salvador Dali, and more. Inside this arts center, there are two contemporary galleries as well as a print studio, a cinema, a visual research center, and a stylish café / bar area. All in all, Dundee Contemporary Arts is a great arty hangout. It’s a hub for exhibitions, films, some food and drink with friends, or a place to come shopping for something creative and unique. The galleries feature work from a range of acclaimed local artists and international artists, and include everything from textile design, illustration, paintings and sculpture, to video and multimedia. One of the most unique art spaces in Glasgow, House for an Art Lover combines an art gallery and exhibition space into one. There’s also a great little café and multipurpose artist studios, so there’s always something going on here. Explore the house, as well as the vast outdoor space and its many interesting sculptures. There’s even a beautiful walled garden, a fun maze, and a play park for children. 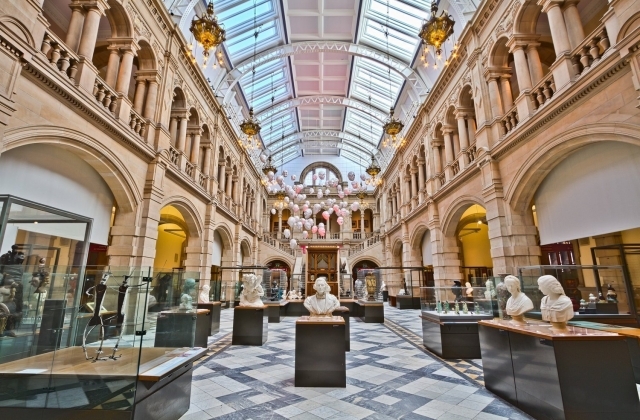 Perhaps the most famous gallery in Scotland’s capital, and a landmark not to be missed. The grand gallery, comprising of two neoclassical style buildings, was designed by architect, William Henry Playfair. It first opened its doors in 1859, and houses fine art from the beginning of the Renaissance up to the start of the 20th Century. If you’re planning a vacation in Scotland, a visit to the gallery is a great way to educate yourself on local art. The collections include both Scottish works and paintings from around the world. What’s really remarkable about this gallery is its location. 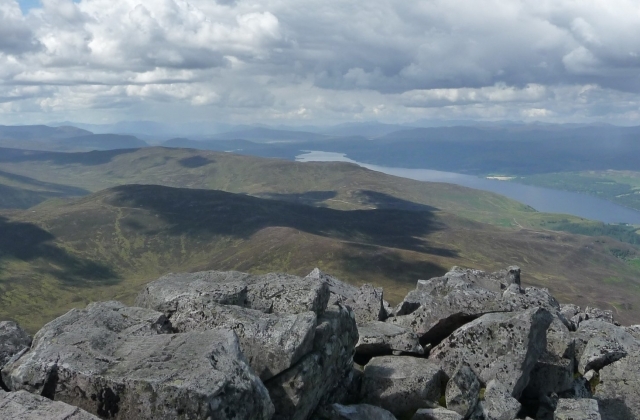 The Applecross Photographic Studio is set along Scotland’s west coast, just off Loch Carron as it joins the Atlantic. Inside this little and unique gallery space, you will find stunning exhibition images of the Scottish coastline, all taken by the gallery owner and local photographer, Jack Marris, within the area. The views are breathtaking here, so don’t forget to bring your own equipment if you’re a landscape enthusiast. 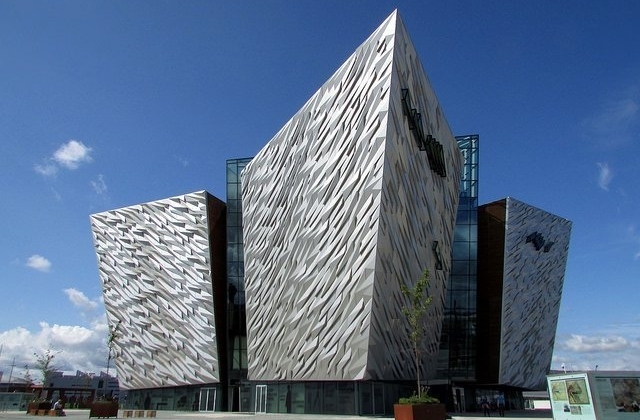 This is one of the newer venues to be opened in Belfast, but it’s already become one of Northern Ireland’s top galleries. The building itself is something to marvel at, having been entered for the International Open Design Competition. There are three gallery areas in total, plus two theatres and several studio spaces, all housed across six stories. As well as the exhibitions and displays, you’ll find a calendar of shows and events too. So be sure to check the dates of your vacation to see what’s on. It’s free to get in and you can go there any day of the week. The Ulster Museum is the city’s finest museum and art gallery. Head to the top floor for the permanent art and sculpture exhibitions, and check their website for their seasonal displays. The gallery floor houses art of both national and international significance, with more than 15,000 works in total. In addition to paintings and sculptures, you will also have a chance to discover works on paper, glass, ceramics, silver and metalwork, jewelry, furniture design, costume design and textiles. Admission is free and doors are open from Tuesday to Sunday, 10am to 5pm. Better known as The CCA, this gallery is one of Northern Ireland’s best venues for showcasing modern and contemporary artists. It’s especially fantastic for emerging talent, helping to bring new artists to the forefront. The core mission of The CCA is to create a space where audiences can enjoy ambitious, experimental and engaging art. If you’re after something a little bit different, with thought-provoking pieces, this free gallery is a fine place to kill a few hours. One of the few places in the UK elevating visual arts to multiple formats. Void in Derry is an innovative space that features challenging exhibitions, and its aim is to make contemporary visual art accessible to all. The gallery was launched in 2005 by a group of local artists, the DADA (Derry Artists for Derry’s Art), and it has now developed a shining reputation internationally. Learning programs, talks, screenings and workshops are combined with each exhibition so that everyone in the community can get enjoy an interactive experience at Void. It’s also free to visit most of the exhibitions here. Free museum and gallery with something for all ages and interests. The gallery section is home to paintings, drawings and sculptures, dating back as far as 500 years. Inside, you will find activity booklets suitable for little ones which can be used to explore the different works of art and learn more about them. After exploring the museum, you can re-fuel at the family-friendly Oriel Restaurant, and there’s an excellent museum shop with toys, gifts and souvenirs. Set against the lush green backdrops of the Llandeilo hills, Fountain Fine Art is the perfect destination to enjoy an outdoor adventure with a touch of culture. Located on the fringe of Brecon Beacons National Park, you’ll find plenty of great walks around you and lots of quaint little market towns to visit. Whilst in Llandeilo, stop by at the Fountain Fine Art Gallery to see their rolling program of exciting exhibitions. The venue has built a reputation as one of the leading galleries in the country and specializes in 20th Century iconic art from David Hockney, John Piper, Henri Matisse, and more.